Smart modern apartment 5 mins from seafront & parking. Modern purpose built one bed apartment with secure free parking Located in the heart of Southsea you have shops cafes and plenty of good restaurants just minutes away. 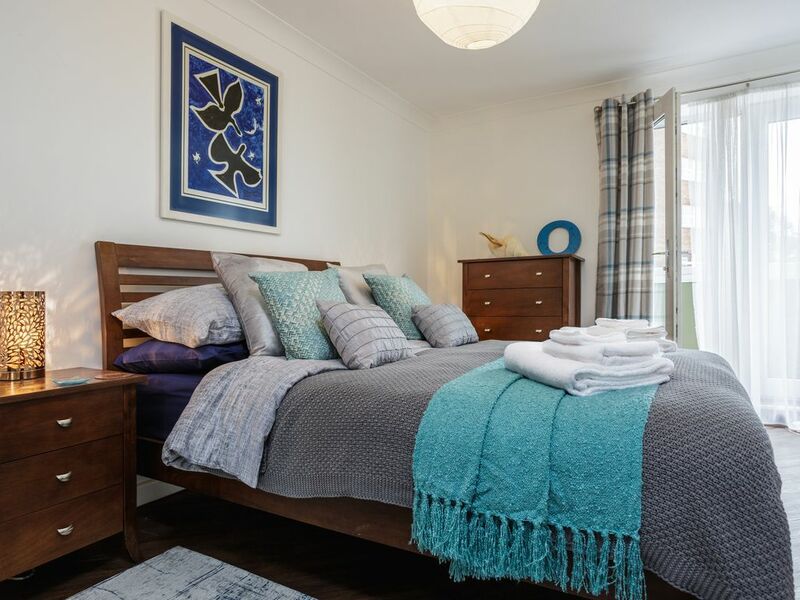 The property is well equipped and comfortable with a small fitted kitchen , WiFi, smart tvs in bedroom and living room, good quality bedding and comfortable leather sofa.Step out onto the balcony and watch the passers by walking to the seafront just a minute or two away. With good regular rail services and motorway links this is the ideal location to explore the South coast and London; youll find plenty to keep you occupied in Portsmouth, home of the Mary Rose, the Victory and the Warrior we are a city steeped in maritime history. For those who prefer a spot of shopping, Gunwharf retail outlet is the place to pick up some amazing designer bargains. We are also home to Portsmouth University and have a vibrant community of local artists, some who you will find working away at their craft in the Hotwalls studios.